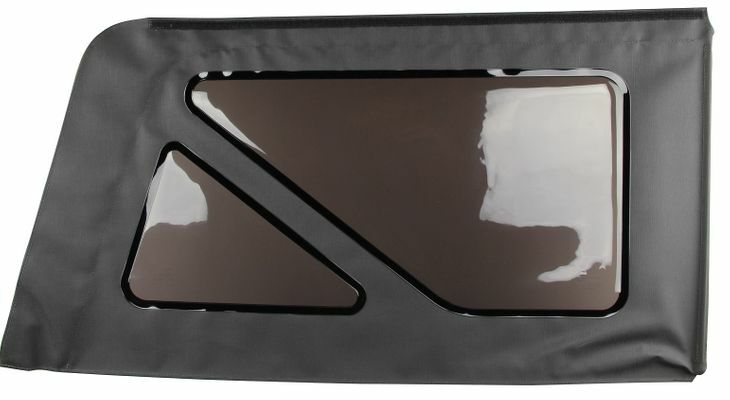 This tinted rear passenger side window (part number 5SQ72SX9AC) for two-door Jeep Wrangler models with a soft top fits 2008 to 2018 two-door Jeep Wrangler models. This window is made of standard fabric. A tinted window can help control interior heat and also keeps items inside out of sight, for added security. JustforJeeps.com has soft tops, windows, tonneau covers and other accessories so you can buy individual replacement parts as needed or an entire set to change the feel of your Wrangler.